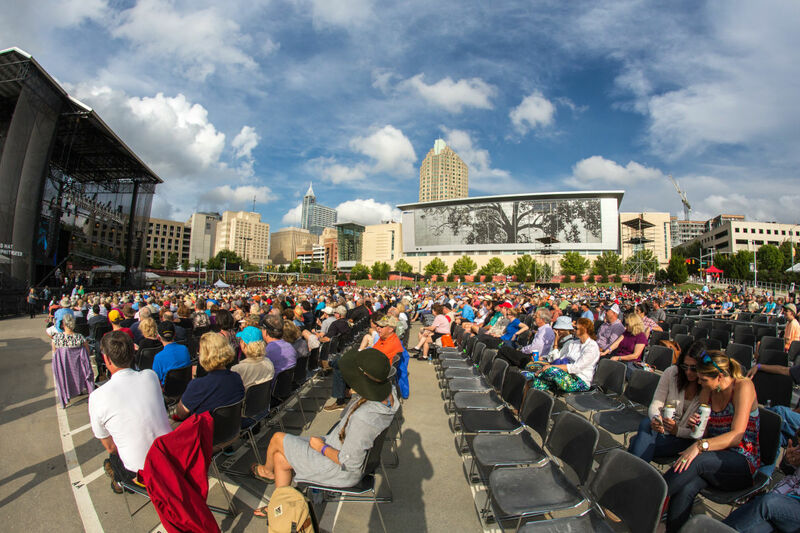 PNC presents Wide Open Bluegrass is the urban bluegrass music festival that closes out the International Bluegrass Music Association's (IBMA's) World of Bluegrass week in beautiful downtown Raleigh! Jointly produced by the IBMA and Raleigh's Local Organizing Committee, the festival (formerly known as FanFest), features the best in our traditional and acoustic music community. Up to half of the net proceeds support the Bluegrass Trust Fund, a non-profit organization helping bluegrass professionals in times of need. In addition to the stellar ticketed main stage at Red Hat Amphitheater, the festival now includes a free street festival along Fayetteville St. in downtown Raleigh. The free street festival includes five music stages, a dance tent, BBQ championships and art, food and shopping vendors lined-up along Fayetteville St., as well as IBMA's Music Expo in the Raleigh Convention Center.